Gripping, intense, a page-turner, vivid, are just a few of the words I use to describe 11/22/63, By Stephen King. From the first page until the last, I could not put the book down, and that is saying a lot, because the book has almost 900 pages! The story line revolves around the assassination of John F. Kennedy, and how the protagonist, Jake Epping, becomes involved in the past in ways he never imagined. He is privy to a wormhole of sorts, that is located in the back of an old diner, owned by a man named Al. Through this portal, he is able to transcend time, from Maine in the present year of 2011, to September 9, 1958. He initially decides to go back in time in order to right a wrong, the massacre of a janitor’s family, by the janitor’s father. This journey leads to another one, and Jake is convinced by Al, to fulfill a mission, that of stopping the Kennedy assassination. The novel relays, step by step, how Jake tries to stop the Kennedy assassination through his travels within alternate realities. He transitions, emotionally and mentally with each passage back in time. He could be gone for hours or days, but when he returns to the present in 2011, only two minutes have passed by. When returning to the present things take on a different perception. Varied layers and subtleties occur during those two minutes. During his travels he meets Sadie, and they eventually fall in love. This love will haunt him in both the past and the present, in ways the reader can not imagine. I was intrigued with how Jake became involved with Lee Harvey Oswald, the man who assassinated Kennedy. It was fascinating to read about some of Oswald’s background, as far as residences and his daily comings and goings. I remember reading newspaper articles, and watching the TV to garner more information on the man. Since that time period, much more has been learned about Oswald, the assassination, and the events preceding it. King goes further, and more in depth on Oswald, and his research shows his impeccable attention to detail. Things we take for granted, such as a fence, are enhanced in an exceptionally defined form. Even the most minute element is greatly illuminated into a brilliant word-visual. King takes us on a journey, not only through time, but through tragedy, with his extensive and exhausting research. He leaves no stone unturned in defining daily life during that time period, from architecture to town squares, from clothes to style, societal mores to social stigma, it is all masterfully depicted within the pages. Some of what we read is extremely insightful of the mood of the nation, before the assassination. The Jake is a realized character, and this reader found him believable in his depiction, his aspiration and his sense of urgency. This is due to King’s sense of humaneness, and individual struggles of good over evil, for the sake of humanity. King writes masterfully, and with clarity and cognizance. This is one novel that is not a horror-based one, but rather one that tackles an age-old question. King leaves us to ponder, to question, to envision what our world might look like, today, if we could actually go back in time and change the course of history. By changing the course of history, what would the present be like? Would it be better or worse? Would the positives outweigh the negatives, or vice versa? If you change one aspect, it affects the entire world. One event is just a small measurement or particle of the whole, the entirety of the planet. 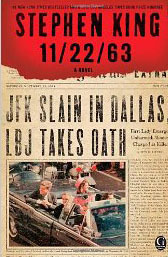 I highly recommend 11/22/63, by Stephen King, to everyone! The Golden Willow: The Story of a Lifetime of Love, by Harry Bernstein is the third book he has written (the previous books are The Invisible Wall, and also The Dream). I will not delve deeply into the story line of The Golden Willow, as I would then be giving much of it away. Suffice it to say that the memoir is one that reflects on Harry’s marriage to his wife, Ruby. It chronicles their life together, from their first meeting to their journey of love through the decades. They fell in love at first sight, so to speak, at a dance, and that meeting took them through the trials and tribulations of marriage. They had a happy life together, at first living in a small rented room in Manhattan. From there they moved to Greenwich Village in order to be surrounded by those whose interests coincided with theirs…the cultural arts. Harry wanted to be a writer, and they both felt living within writers, painters, dancers, etc., might give him not only inspiration, but an advantage. After approximately four years, they moved to the suburbs, and their life held new meaning, as they were parents of two children. The reader is taken through the phases of their life together, through the decades of political and social turmoil, through the decades in which their undying love for each other, and their dreams survived. Each one held the highest respect for the other, and both Harry and Ruby had a marriage full of the deepest and enduring love, combined with mutual interests, admiration and caring. 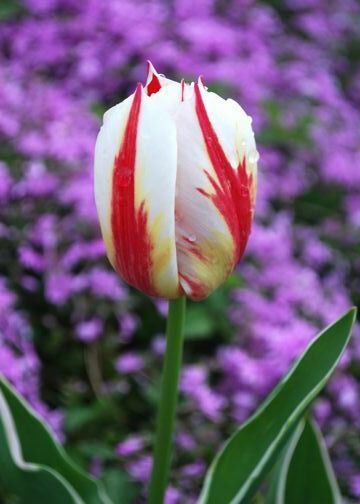 Ruby died at the age of 91, from Leukemia. Harry felt the loss deeply, after being married for so long. He eventually began writing, hoping to fulfill his long-held dream of having a book published. That dream came true in the form of The Invisible Wall. The Golden Willow is a lovely book, and one that is a testament to their marriage, and a tribute to Ruby. It is also a tribute to Harry’s determination to try to move forward after Ruby’s death, and to tell their story. It is illuminating, filled with humor, and with much poignancy. It is not filled with the same details and lessons as The Invisible Wall and The Dream, held, as it is more of a story outlining Harry and Ruby’s marriage and deep love, and its endurance over decades. It is a memoir that will be a lasting legacy to their children, a legacy of undying love. Harry Bernstein has written another inspiring book/memoir, and one I recommend to everyone. 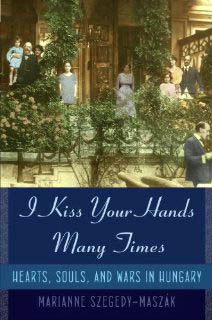 I Kiss Your Hands Many Times is a non-fictional story, spanning prewar and post World War II. It is the story of Marianne Szegedy-Maszák’s parents and other family, members, and how they went from riches to basic poverty during the most horrific of times. Initially there seemed to be a sense of denial that events were actually happening, and the family stayed, rather than emigrate. Whether through ignorance or denial regarding the entirety of the situation, the family felt they were being noble in their choice. Many individuals felt the same way during World War II, and they were not the only ones. This decision proved to be one that contributed to their eventual and negative fate. There is a lot of historical information within the pages, information that is not only relevant to the time period, the war, and the events that occurred, but information that is extremely important documentation. The book details a series of letters written between both Szegedy-Maszak’s parents, and the defining moments of their experiences during the Holocaust. Throughout all of the atrocities, their love survived, and they were eventually married in Budapest, after liberation. The book is an intense look at the Hungarian situation during the war, and how it affected Szegedy-Maszak’s family, and their future together. It is an inspiring love story and one that depicts the face of survival under extreme odds. I have not been blogging the past few days, as the news regarding Boston kept me pretty much glued to the TV, the internet, and other avenues of news gathering. My words would have been inadequate, as far as a book review goes. Today I decided to blog, but my post is short, and doesn’t contain a book review. I have not been motivated to read until last night, when I began The Innocents, by Francesca Segal. That is it for today. Thanks for the visit. Gabby: A Story of Courage, Love and Resilience, is a book of remembrance, remembrance of a love story, a strong woman, and a remembrance of what once was in the body’s ability to persevere through pain and recovery. Gabrielle Giffords was a physically and mentally vital woman before she was shot in the head on January 8, 2011. Through her determination, she remains a mentally vital woman, but one with a few physical issues that still need constant working on. With her husband, Mark Kelly, at her side, she is a determined woman, and one who continually strives to get as close to her former self as possible. 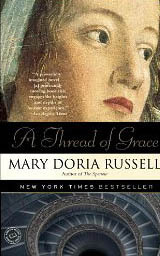 Her struggles are told with forthrightness, and her therapeutic progress is inspirational. Although her speech is affected, and although she has lost sight in one eye, she is a cognizant individual. She has her own ideals and determinations on how best she can serve her country, now that she is no longer a member of the House. Gabby’s political perspectives are told through Kelly’s voice, and her determination to be a House representative of depth and detail is well documented. She put her constituents first and foremost. She was a democratic representative for the people. Although, I did like the story regarding Gabby’s therapeutic endeavors and her strong will to recover, I felt that much of the book centered on Mark Kelly. The reader learns about Kelly’s history, before meeting Gabby, and while dating her. We learn about his status as a Navy pilot and as an astronaut, his former marriage and his children, and his goals. At times it felt that his story overshadowed hers. I would say that the information is interesting, but so is Gabby’s premarital story. The title belies the actual majority of the content. The book is about the two of them and their relationship before her being shot, and during her continuing recovery. Their story is one of love and support, through the difficult times of physical, mental and emotional injury. In the future, I would like to see a book written strictly by Gabrielle Giffords, and one where her recovery efforts are told through her voice, and her voice alone. 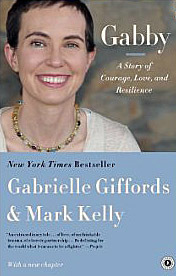 I do recommend Gabby: A Story of Courage, Love and Resilience, by Gabby Giffords, Mark Kelly, and contributor Jeffrey Zaslow. And, the winner is…Francesca Segal, for her novel, The Innocents! The 2013 Sami Rohr Prize Award Ceremony will be held in New York City, on May 30, 2013. The Los Angeles Times Festival of Books will be held April 20-21, 2013, on the USC Campus. “Rapture” and “The Bees, by Carol Ann Duffy are two works of poetry. The Girl With No Name is a new release, written by Marina Chapman. In it she claims to have been raised by monkeys, and this book is her story surrounding it. The Flame Throwers, by Rachel Kushner looks to be a good read! Tirza, by Arnon Grunberg, has been released. Read a review of Harvard Square, by Andre Aciman.